Some jobs are just basic facts of life when it comes to the arrival of spring in our gardens. There’s the cleaning of patios and decks to remove the grime, mildew and algae that sneak up in damp conditions; the greenhouse clean-up to get it sparkling like new; and the first cut of the lawn when weather permits. But then there are jobs that take time, energy and money but could be avoided all together – like treating wooden garden sheds to try and prolong their lifespan and ensure they are capable of keeping whatever we keep inside them safe and dry. A damp, rotting wooden shed does little to help preserve the condition of garden tools, barbecues, lawnmowers and bikes and, when it comes to keeping garden equipment and anything else secure, attaching a high quality padlock to a weakening timber structure is really nothing more than wishful thinking. If you want to avoid the issues of ongoing timber care and dubious security, you could find it worthwhile to consider the benefits offered by the best metal sheds on the market. Those manufactured by Trimetals are precision-built for easy assembly, strength and durability – meaning they keep belongings secure and are maintenance-free. 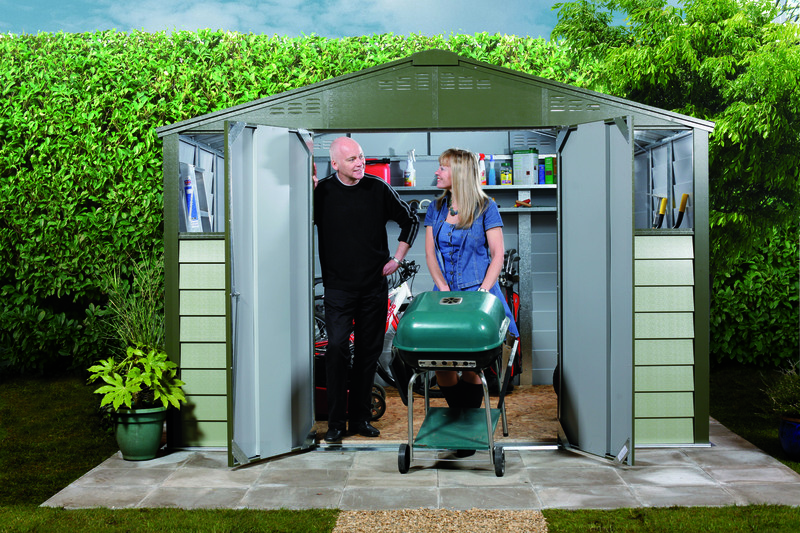 Made with fire resistant materials and complete with a 25 year panel guarantee, Trimetals sheds could give you decades of hassle-free outdoor storage and peace of mind. These are qualities that have made them extremely popular for outdoor storage around the globe. In fact, this was recognised when Trimetals recently received a Queen’s Award for Enterprise which recognised its international success, with its sheds being exported to countries as far away as Australia, Japan and the USA. Secured to a concrete base and supplied with a key operated locking mechanism, all sheds in the range have bolts at the top and bottom of the door making forced entry almost impossible. For those seeking even greater security there are windowless sheds and the option of a state-of-the-art alarm system to add even greater protection when storing particularly valuable goods. 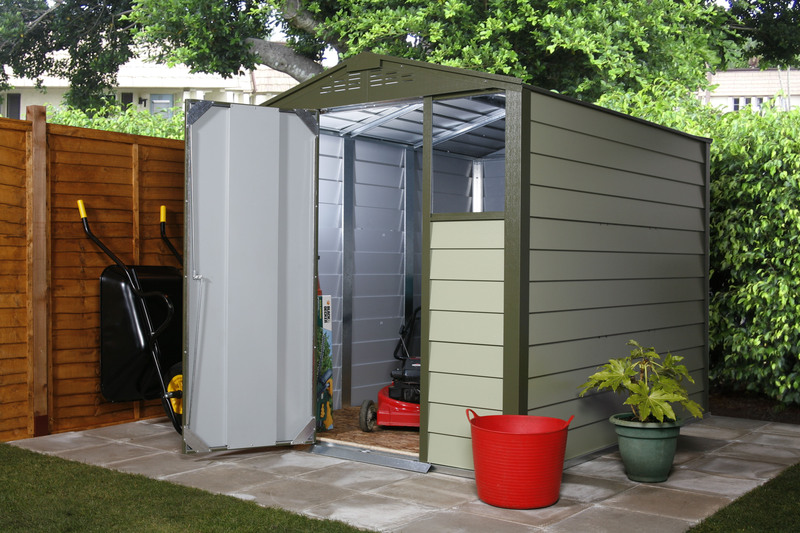 Whatever you need to store, you are sure to find the perfect sized shed from the choice of eight sizes – from a single door 6’ x 3’ Titan 600 model, which is ideal for hand held garden tools and bikes, all the way up to a double door 10’ x 8’ Titan 108 model that can store a huge range of equipment for even the largest gardens. So, whether you want to drive your ride-on mower straight in to a safe parking place or simply keep your hand tools and seed packets dry upon any of the available shelving or bench options – a metal garden building from Trimetals could literally give you a shed-load of benefits!